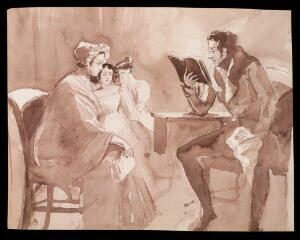 A father reading a novel with an affecting plot to his wife and daughters. Drawing, ca. 1810 (? ).